2016 was a record breaking year for Ottawa real estate resales! 715 sales in December brought the total number of properties sold throughout the year through Board’s MLS® to 15,537, a 6% increase over 2015. With more properties selling over $500K December also had the highest average sale price ever recorded $420,750, considerably higher than the 2016 average sale price of $371,987. 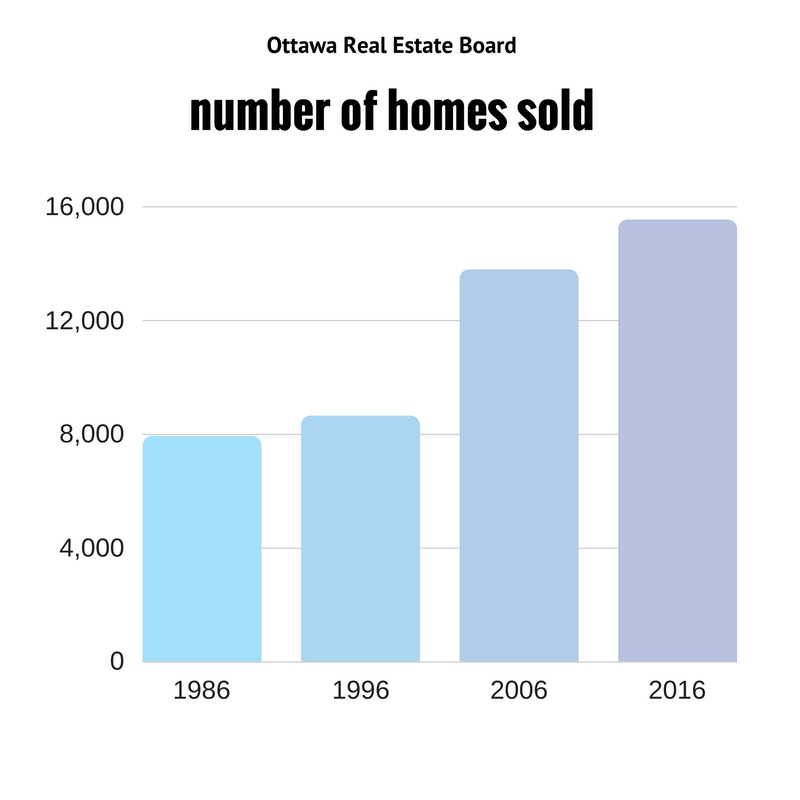 Information below from the Ottawa Real Estate Board’s Latest new’s release on January 5th, 2017. OTTAWA, January 5, 2017 – Members of the Ottawa Real Estate Board sold 715 residential properties in December through the Board’s Multiple Listing Service® System, compared with 703 in December 2015, an increase of 1.7 per cent. The five-year average for December sales is 656. The total number of residential and condo units sold through the Board’s MLS® System throughout all of 2016 was 15,537, compared with 14,653 in 2015, an increase of six per cent. Separately, residential and condo unit sales each outperformed the 2015 numbers. December’s sales included 165 in the condominium property class, and 550 in the residential property class. The condominium property class includes any property, regardless of style (i.e. detached, semi-detached, apartment, stacked etc. ), which is registered as a condominium, as well as properties which are co-operatives, life leases and timeshares. The residential property class includes all other residential properties. 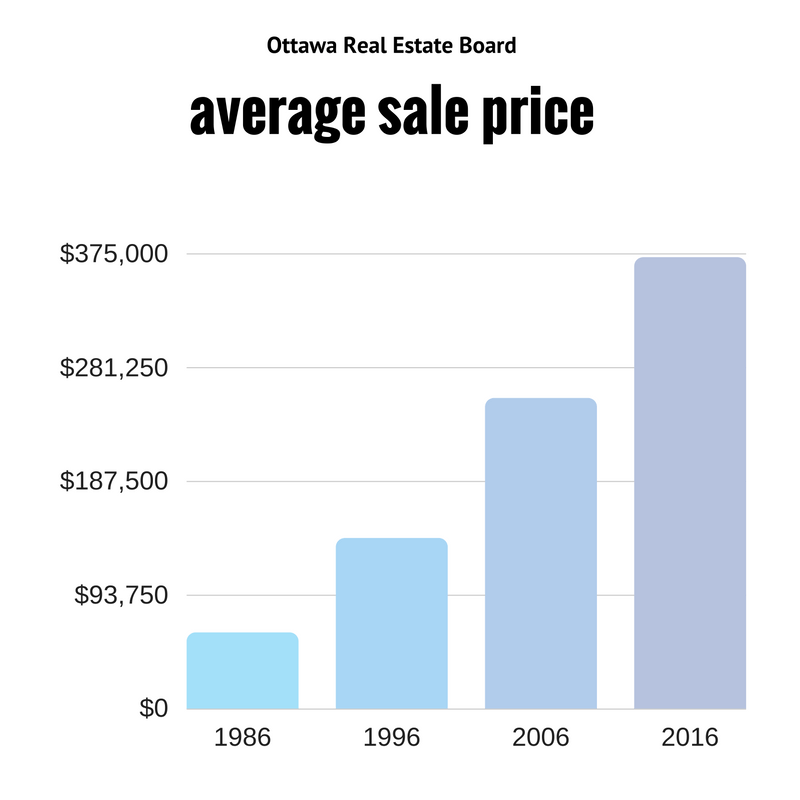 The average sale price of a residential-class property sold in December in the Ottawa area was $420,750, an increase of 8.7 per cent over December 2015. The average sale price for a condominium-class property was $262,698, an increase of 4.9 per cent over December 2015. The year-to-date numbers for average residential sale price in 2016 was $397,778, an increase of 1.5 per cent over 2015. While the average condominium sale price was $260,982, an increase of 0.4 per cent over 2015. The Board cautions that average sale price information can be useful in establishing trends over time but should not be used as an indicator that specific properties have increased or decreased in value. The average sale price is calculated based on the total dollar volume of all properties sold. 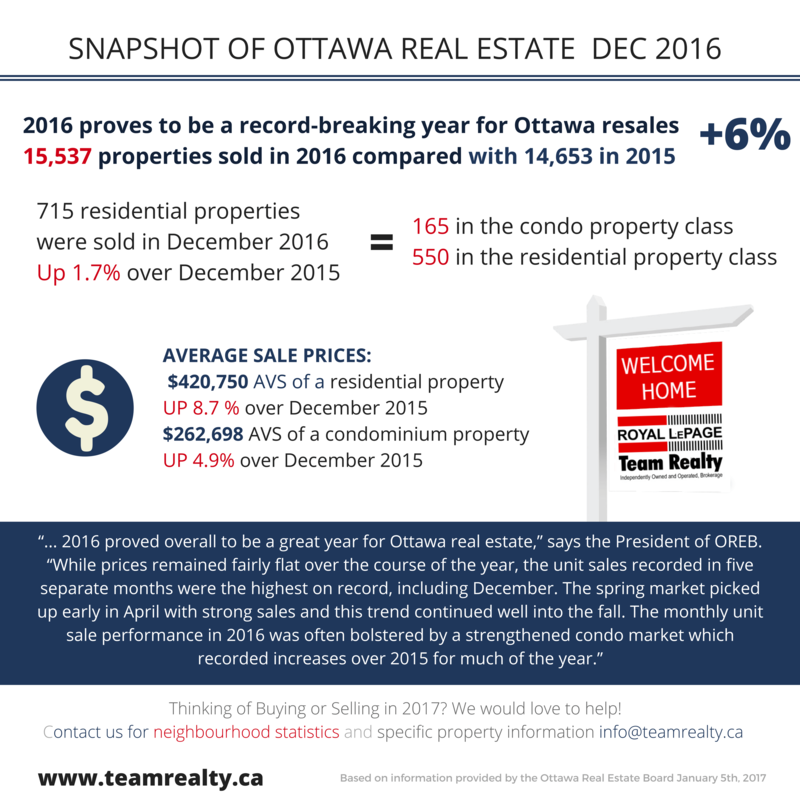 The post Ottawa Real Estate Update: December 2016 appeared first on Team Realty.